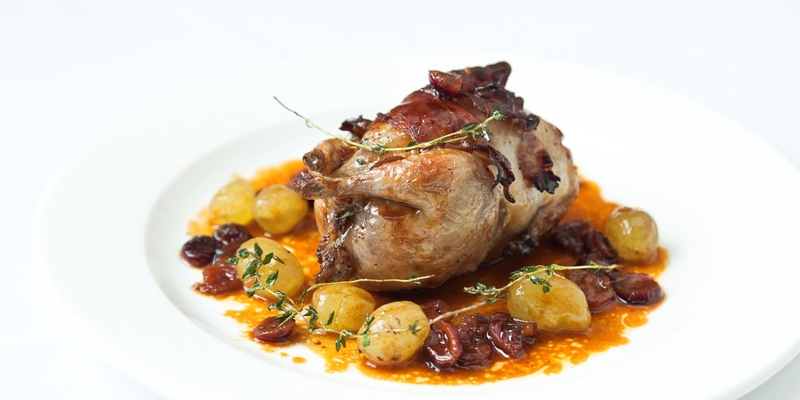 Quail is often wrapped in pancetta before roasting, as Bruno Loubet does in his recipe. This not only imparts extra flavour to the bird but protects the breast from drying out while the legs finish cooking. Martin Wishart stuffs butter and herb under the skin before cooking his quails for the same reason. Roast quail benefits from simple accompaniments – think bread sauce, game chips and some roasted vegetables or serve as a starter with a bowl of aioli.